Here you can find the ways to get to Sofia, Bulgaria. We have tried to put up a systemized information that can help you with your preparation for the best way to travel to Sofia. Also you can find information on VISA issues at the end of the page. Sofia is very well related with most of the European cities by air, including low cost flights. 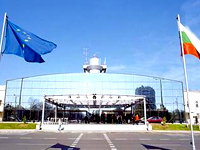 With two terminals, Sofa airport, located in the outskirts of the city is small, but modern European airport. Detailed information about schedule can be found on Sofia airport web site: http://www.sofia-airport.bg/default.aspx. There are 2 bus services that connect both Terminals 1 & 2 to the city centre (more specifically Sofia University). Travel time is about 20 minutes, depending on traffic conditions. Ticket (“bilet” in Bulgarian) prices: €0.35 or BGN 0.70, which could be bought from kiosk or newsagent. Taxis are available at the Arrivals of Terminals 1 & 2. Beware of taxi drivers in order to avoid ripped off. The fare to downtown is about €5 to €8 depending on traffic conditions. Average prices per kilometre start at €0.35. Highly recommended in order to avoid fraud is to look for “OK Supertrans” and “1 euro taxi”. Taxi telephone numbers - 00359 2 9732121 and 00359 2 9622226. Due to a well developed railway system, Bulgaria is well connected with most of the Balkan states and some European cities (Vienna, Prague, Budapest). Detailed information and schedule can be found here: http://bdz.creato.biz/en. All international railway trains are arriving at the Central railway station in Sofia, located in the center of the city. There are two tramway lines, connecting the station with the administrative center of the city and main boulevard Vitosha. The tram stations are about 50 m straight from the main exit of the railway station. Taxi is available in front of the main entrance/exit of the railway station and on the main entrance of the Sofia bus station, just 50 meters from the railway station in left. Average price for taxi from the railway station to the administrative center of the city is 2, 50 € (5 levas). Beware of taxi drivers in order to avoid fraud. Average prices per kilometre start at €0.35. Highly recommended is to take “OK Supertrans” or “1 euro taxi”. Taxi telephone numbers- 00359 2 9732121 and 00359 2 9622226. Every international bus line is arriving at The Central bus station of Sofia, which is located next to the railway station in the center of the city. There are two tramway lines, connecting the bus station with the administrative center of the city and main boulevard Vitosha (the two tram lines are passing through it). The tram stations are about 50 m straight from the main exit of the railway station. Taxi is available in front of the main entrance/exit of the bus station. Average price for taxi from the railway station to the administrative center of the city is 2, 50 € (5 levas). Beware of taxi drivers in order to avoid fraud. Average prices per kilometre start at €0.35. Highly recommended is to take “OK Supertrans” or “1 euro taxi”. Taxi telephone numbers- 00359 2 9732121 and 00359 2 9622226. If you have any problems with traveling, please, contact us at our e-mail addresses. In case you need a visa to enter Bulgaria, please contact us at our e-mails after you have checked the requested conditions with the Embassy. Due to the fact that the visa-procedure might take a few weeks (10-15 days approx. if all forms are submitted in time), please make sure you apply for it in time, but not before you have received confirmation of participation in the SOFIMUN conference.